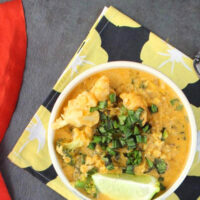 Make this rich, flavorful Red Curry Soup with whatever veggies you want! It’s a filling, one-bowl meal that only takes about 45 minutes to make. 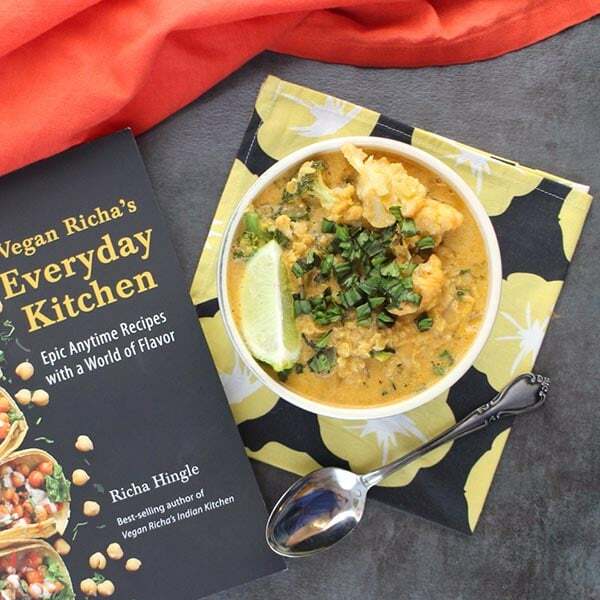 This Red Curry Soup recipe is from Richa Hingle’s latest cookbook: Vegan Richa’s Everyday Kitchen. Richa’s recipes are always top notch. She writes clear instructions, and her photos are always beautiful. This book is a gorgeous collection of flavorful recipes, and I can already see it becoming a staple in my own kitchen. I chose the Red Curry Soup with Red Lentils, because I. LOVE. CURRY. I’m also the only person in my house who does, so I don’t get to eat curries as often as I’d like. This soup was exactly what I needed in my life! It’s rich and flavorful, and it reheats well. I made a batch on a Tuesday and got to eat curry for lunch for three days in a row! Heaven. This soup is incredibly simple to make. Just simmer your lentils, saute a few ingredients, then add a few more, and simmer again until you reach curry perfection. Serve topped with Thai basil and a squeeze of lime, and you’ve got restaurant-worthy curry right in your own kitchen. 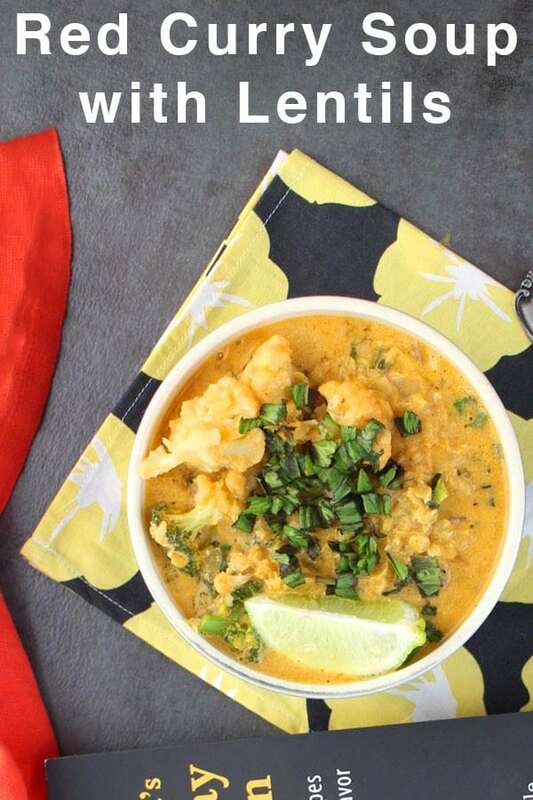 Make this rich, flavorful Red Curry Soup with whatever veggies you want! Serve this very slurp-able soup with large soup spoons. For a brothy soup, add more coconut milk or water. Combine the lentils with 2 1/2 cups (600ml) of the water in a small saucepan over medium heat. Cook the lentils for 13 to 15 minutes, or until they are al dente, stirring once halfway through the cooking time. Drain the lentils and set aside. Add the milk, remaining 3/4 cup (180ml) water, salt, sugar, cayenne, lime zest, and lime juice and stir to combine. Add the cooked lentils and bring the mixture to a rolling boil, 6 to 7 minutes. Taste and adjust the seasonings. Reduce the heat to low. Add the Thai basil and 2 tablespoons (6g) of the cilantro (if using) and stir to combine. Cover the saucepan and simmer for a few minutes, until the vegetables are cooked through and the flavors meld. Garnish with the remaining cilantro and lemon wedges and serve. I always liked butter toast!! So many dairy free butter substitutes now it’s not much of a change! My fav pre vegan comfort food was probably mac and cheese. I haven’t found a good vegan version or recipe yet. My favorite pre-vegan comfort food was potato soup. It still is; I just altered the ingredients. Thanks for hosting the giveaway for Richa Hingle’s latest book! My pregan favorite comfort foods were my grandma’s recipes, German potato salad at the top of the list. Fortunately it was easy to veganise! Thank you for the wonderful review Becky and for the fun video!! Makes it even more simple to cook through! You are so welcome, Richa! I’m loving the book. My favorite was and still is chili! 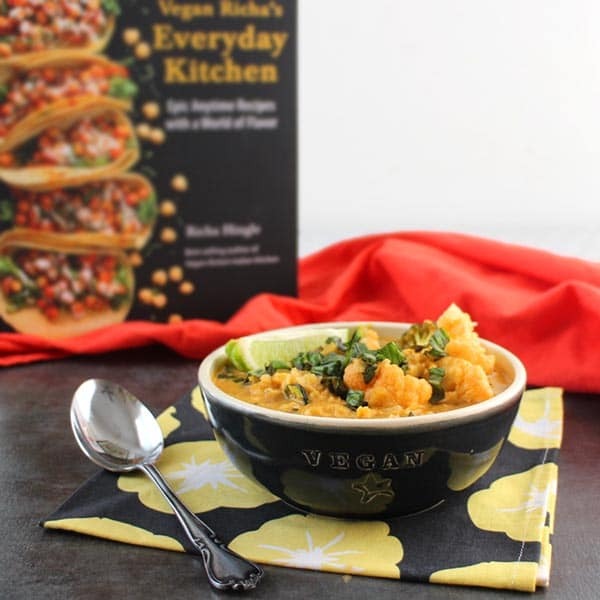 i’ve been a vegetarian by birth and my favorite comfort food has been a rasam- a tangy vegan stew to go with hot rice. This soup is fabulous! I love how your video shows how easy it is to make! I love curries, too! I’ve made a few things from this cookbook, but I haven’t tried this one yet. 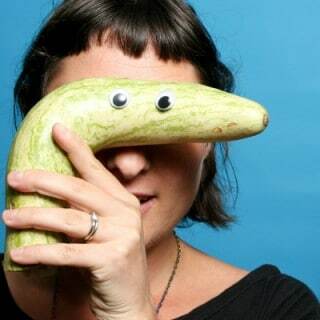 It’s on my list of things to make! My favorite pre-vegan comfort food was any soup or stew made in the crockpot. It was so homey and nourishing! I still make them now, just without the chicken broth/chicken/cheese, etc. Thanks for the chance! ? I am in love with Richa’s new book!! (And her original book too!) I can’t wait to cook my way through everything. This soup looks amazing – so much flavor!